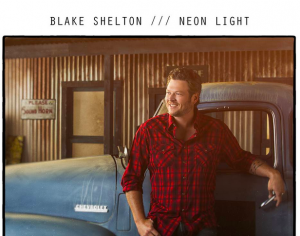 After one week at #1 Sam Hunt’s “Leave The Night On” falls to #4, making way for Blake Shelton’s “Neon Light”, which moves up two to claim the top spot. Jason Aldean’s former #1 “Burnin’ It Down” holds on to the runner-up spot and Little Big Town moves up one to #3 with “Day Drinking”. Lee Brice fell out of the countdown last week with “Drinking Class” but he re-enters this week at #20.